New diesels were prohibitively expensive for less profitable mining operations so they tended to buy second-hand machines when the insane urge to get rid of steam took over. Nanpiao's new locos were worn out BJ class diesel-hydraulics that had worked express passengers from Beijing in their heyday but now had to contend with bad track, steep gradients and sharp curves. 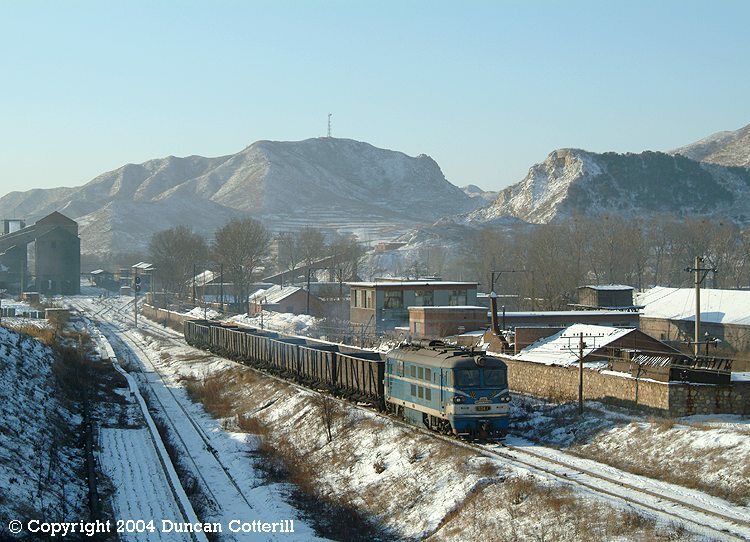 BJ 3241 ground up the bank east of Zhaojiatun with a train of empties for Linhe on 6 December 2003.